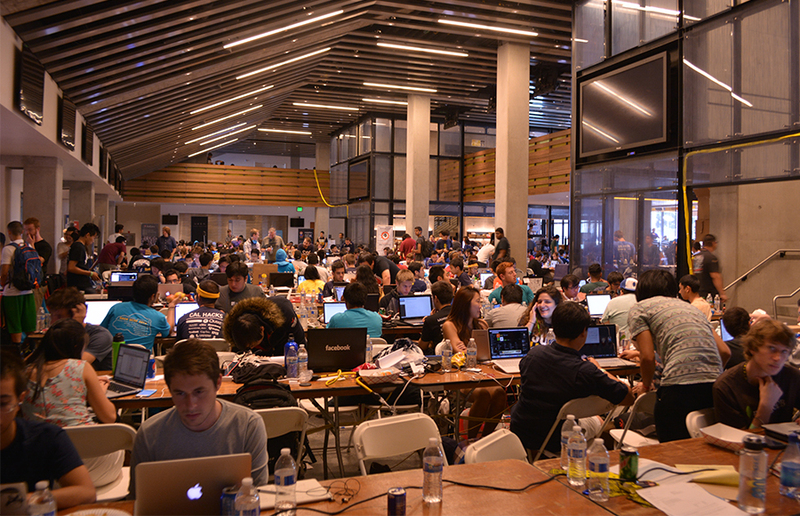 More than 1,000 hackers from schools across North America filled the club space within the California Memorial Stadium for Cal Hacks, building hardware and software for 36 consecutive hours. With the absence of a Student Action party majority in the ASUC Senate for the first time in three years, CalSERVE used its new strength to pass more bills than its rival. ASUC Executive Vice President Justin Sayarath was forced to call a recess at the senate meeting Wednesday night in order to locate enough senators to meet the two-thirds majority necessary to vote on proposed bills. CAMPUS ISSUES: In order to become a more valuable asset for the ASUC, Cal Lodge needs to become a location that is widely used in the summertime. Cal Lodge has struggled for far too long. The ASUC-managed property near Lake Tahoe provides a great retreat location for UC Berkeley students and others, but in recent years, it has lost a considerable amount of money — the ASUC estimates that the lodge lost upward of $27,000 last year. Cal Lodge, an ASUC-owned property in Lake Tahoe, lost upwards of $27,000 last year, according to ASUC Executive Vice President Justin Sayarath. The ASUC Senate is urging campus administrators to ban Salvation Army donation boxes from campus and university-owned buildings, citing discrimination against the queer community.